The fax machines haven’t even fired up yet for the 2019 recruiting class and offers are already going out to the top sophomores around the state. Eight of the nine Class of 2021 prospects holding a Texas offer hail from the Lone Star State. Defensive end Tyreak Sapp of St. Thomas Aquinas in Florida is the only out-of-state player with a UT offer. Texas has offered one quarterback, four offensive linemen, three defensive ends and an athlete who’ll likely transitions to wide receiver in college. It’s early in the process and it’ll be some time before leaders are named. 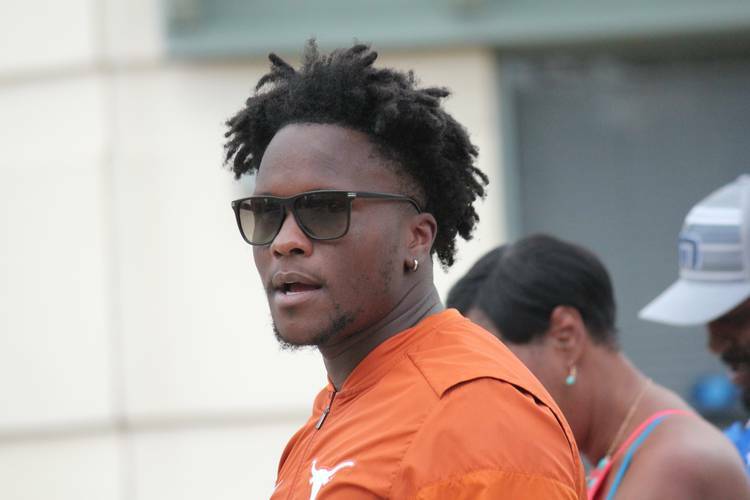 That isn’t stopping the Texas coaching staff from prioritizing a group of players, and the early offers mean that these nine players are considered the cream of the crop in the 2021 class. Below is a list of the nine early offers. Preston Stone, a quarterback from Parish Episcopal, is considered the top player at his position in the country. The four offensive linemen offered are great friends and call themselves the Four Horsemen. The group took in the USC game last weekend and each left with a glowing review. Defensively, Texas is moving slower to offer players. The two in-state ends with offers — Landon Jackson and Tunmise Adeleye — are still under-the-radar recruits and Texas’ early offers could pay dividends down the road. Shadrach Banks, the athlete from Galena Park North Shore, is potentially the top wide receiver prospect in the state for 2021. He’s a true playmaker who also has potential in the secondary.